Diwali, Christmas, New Year eve are all set to rock our festive season. Festivals mean shopping, celebrations, joy and how could we forget about the first thing about these festivals- Cleaning our sweet homes. It is a well known saying that a neat and clean house attracts prosperity and vice-versa. Some of us would already taken on the Mission Cleaning. Rest of us are giving it a serious thought and already have decided which are the things that need to be discarded. But wait! not every old, used or unusable thing is worth discarding. All you need is a little creativity and Yuppie!!!!! Here you have brand new usable stuff. What’s hot is that you didn’t have to shop for new things and got a creative piece out of your very own imagination ( well, with a little help of internet search:-) ). Apart from the fact that you are saving a few bucks, you will be doing a huge favor to the nature by recycling old stuff instead of throwing it away, which may damage our environment in a long run. Take a hint from the following ideas and give your old, used or even unused that you don’t have plans to use either stuff a makeover. 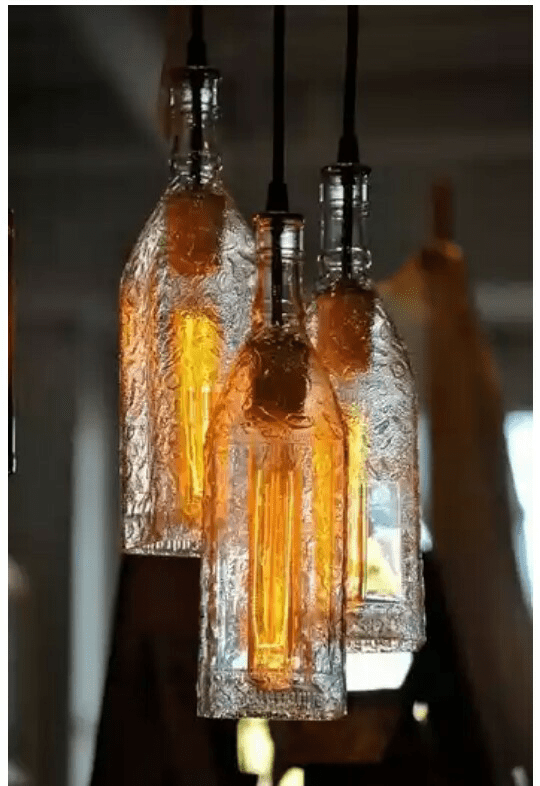 Cut any glass bottle at the bottom and turn it into a gorgeous pendant lamp. 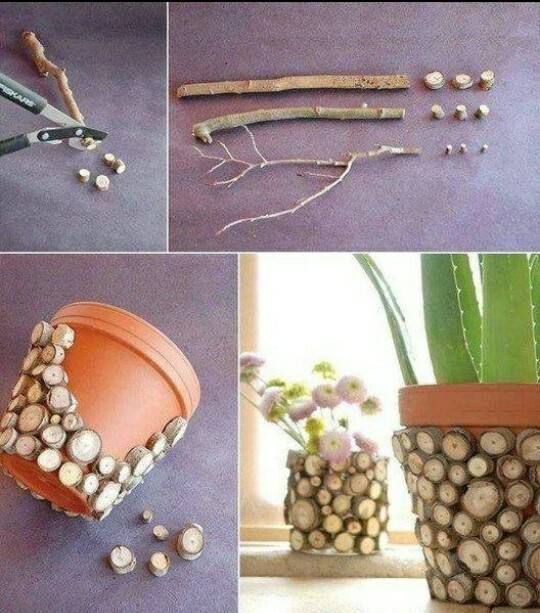 There are endless ways you can upcycle those old CDs. You can experiment as per your wish. 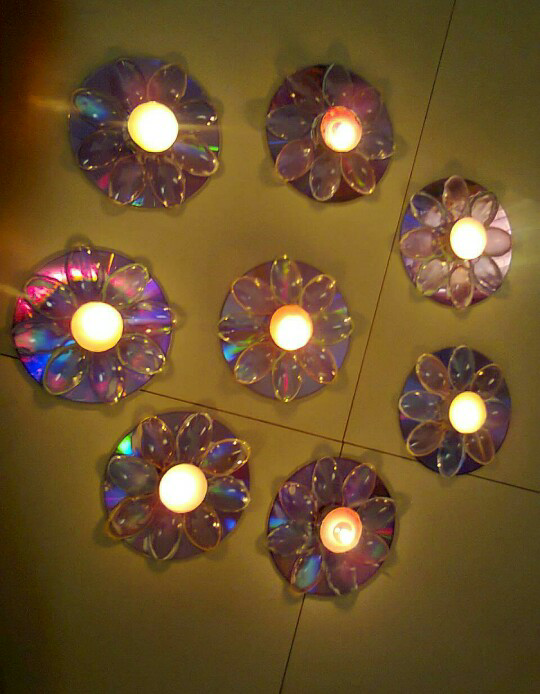 Old CDs may serve as coasters, chandeliers, decorative bowls, candle stands and what not. Take inspiration from the following pics. Even a scrap of wood which may seem of no worth at first glance have the potential of turning into an impeccable creative piece. Identify the trash of your house that is waiting impatiently to be converted into a masterpiece. So what are you waiting for??? Start acting now.